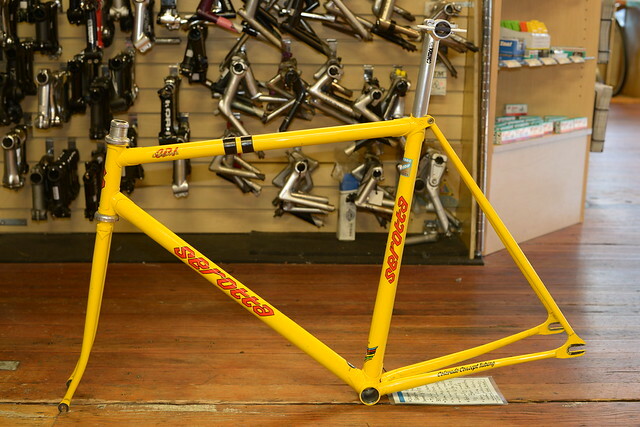 54cm custom-built Serotta ‘CPI’ track bike in amazing condition. 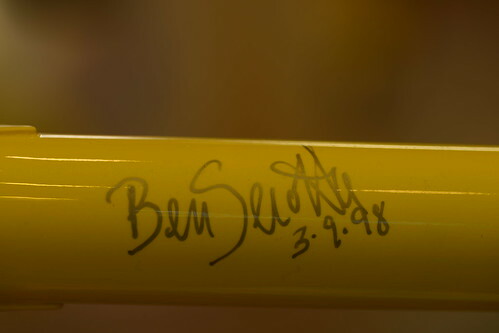 Autographed by Ben Serotta on 3/9/98. Actually made by Ben Serotta. Tight clearances, 38″ wheel base. 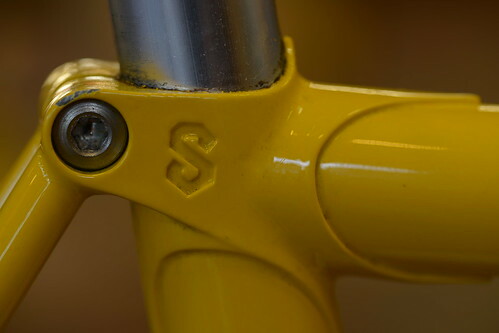 Weighs 6 lbs 9 oz. 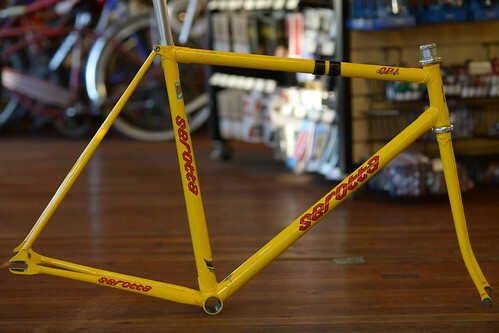 $1,000 – all proceeds from the sale of this frame (and everything in our bike shop) go towards our community programs.